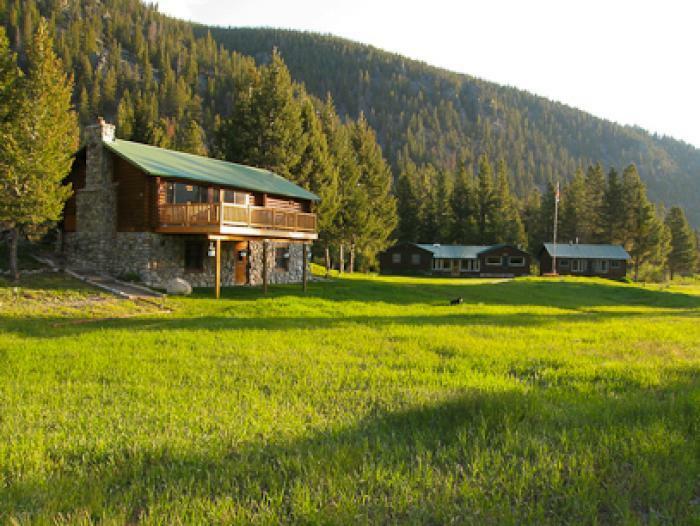 Big Hole Lodge is ideally located on the banks of the Wise River in a magnificent wilderness setting, one of the most beautiful places in all of Montana. The lodge is a place for you to relax over a glass of wine and enjoy gourmet dining with good friends and family. 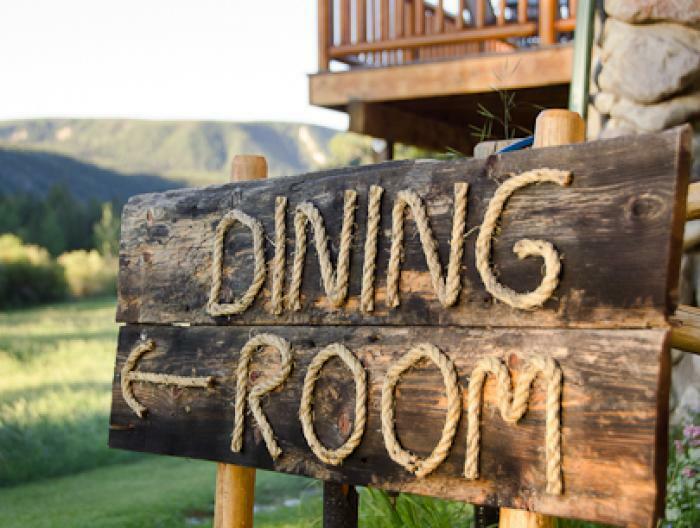 Big Hole Lodge offers a distinctive dining, lodging and definitively Western experience. We specialize in a unique brand of Montana hospitality that is focused on your relaxation, reflection and rejuvenation. Each meal is a gourmet adventure; every night's sleep is a dream come true. And don't be surprised if you take home with you some lasting friendships, not to mention memories. In a given day at Big Hole Lodge, your morning begins with a hearty stack of oatmeal pancakes covered in apple saute, whipped cream and accompanied by apple-wood smoked bacon and fresh berries. After hours of stalking and catching wild trout, your guide will lay out a riverbank lunch of marinated and grilled tri-tip with smoky vegetables, potato salad with fresh herbs and lemon bars. Evening cocktails are accompanied by lightly grilled and succulent pieces of huckleberry-glazed quail wrapped in endive, followed by a succulent entrée grilled herb and garlic rack of lamb with sweet potato gratin, crisp green beans and red rhubarb confit. If you have saved any room, a cheescake mousse with rum poached plums and a cup of decaf will tuck you in for the night. The Chef- Lanette Evener, an avid outdoorsmen and expert fly fisher, is back this summer for her seventeenth year as esteemed chef at Big Hole Lodge. Creative and hearty meals are crafted with an artisan approach. Menus are carefully planned to satisfy the guests after their adventurous days on the river. BBQ and smoked meats are marinated to perfection and the fish, pork and chicken dishes are accompanied by excellent sides that are prepared with a western attitude. Many of the meals at Big Hole Lodge are a long-standing favorites with guests frequently requesting the recipes. Desserts are lovingly prepared and are designed to delight the palate. Tuesday night is steak night, a traditional Western barbeque down by the river and is a client favorite. Meal Times- Meal hours are scheduled according to the angling conditions and where you will be fishing that day. Generally, breakfast is served between 6:30 and 7:30 AM. Fishing times are later as we move into September. Lunch is served at streamside. After a full day of fishing, you’ll return to the lodge in time to relax before dinner, which is usually served around 7:30 PM. If you wish to extend your fishing day into the evening hatch, our chef is more than willing to prepare a late dinner for you as long as you are seated by 9:00 PM. It is important to let us know on your questionnaire of any dietary restrictions, etc., so that we will be prepared to accommodate them. Alcoholic Beverages- The lodge provides beer and wine for lunch, dinner and before dinner. If you would like to extend your cocktail hour, bring along a bottle or flask of your favorite spirits. The lodge does not sell hard liquor on the premises; however, one can purchase a bottle in Butte upon arrival or at the Wise River Club. For clients flying into Bozeman, Belgrade Liquor near the airport sells hard liquor. In 1984, Craig Fellin drove up the Wise River on a washboard-rutted dirt road and found ten acres of land on the river, surrounded by National Forest. Here he established the Big Hole Lodge. During the early years, the capacity was just two guests, and clients ate and slept in the main house with Craig and his family. 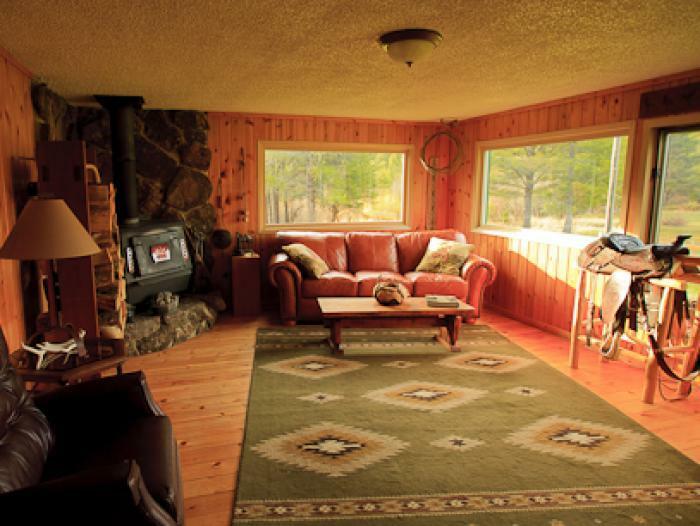 Eventually, Craig stripped logs and built the dining lodge and three guest cabins with views of the scenic Wise River Valley and the snow-capped Pioneer Mountains above. 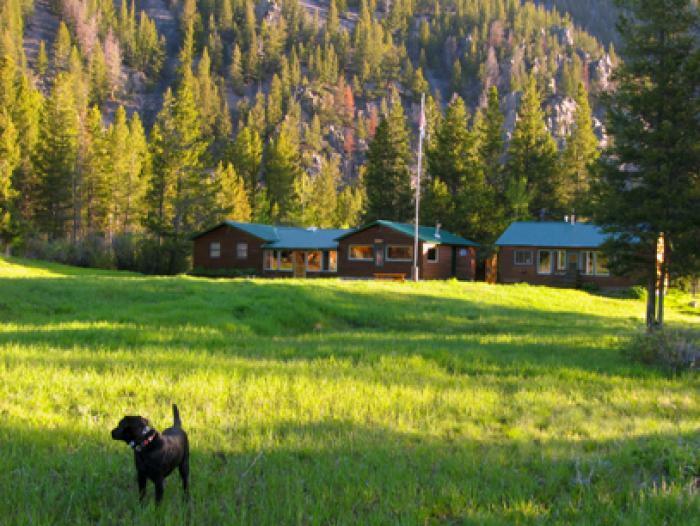 Today, we're an Orvis Endorsed Lodge offering a personal, relaxing and intimate fly fishing vacation experience. With a maximum of just 12 guests, we can offer exceptionally high levels of customer service and cater to a wide range of fly fishing interests and skill levels. 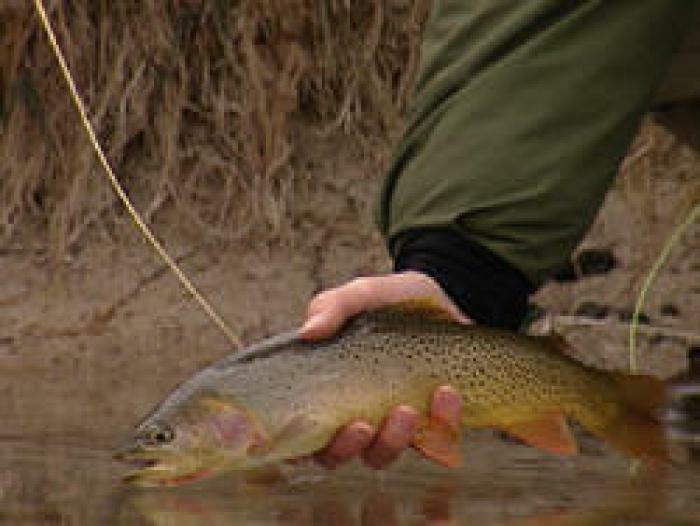 From the legendary Big Hole and Beaverhead rivers to small mountain streams, or crystalline alpine lakes to a private spring creek on a working cattle ranch, breathtaking views will surround you as you enjoy some of the finest fly fishing in the country. And whether you're a complete novice or accomplished fly angler, at the Big Hole Lodge our goal is to offer you an uncompromising fly fishing vacation of a lifetime. Craig and his son, Wade, along with the lodge's perennial staff, aim to make your trip the best fly fishing trip you've ever experienced. Our chef will return for her fifteenth season, and our veteran guides graciously share intimate expertise in technique, entomology and stream savvy. Our profound respect for the river, its inhabitants and nuances, and the surrounding beauty of southwestern Montana, guides all of us at Big Hole Lodge in delivering quality that lives up to everything you've ever imagined a Montana fly fishing vacation could be.